Darkling beetles, whose larvae are referred to as lesser mealworms, are a common sight in broiler houses. Though it is generally accepted that when poultry consume beetles and lesser mealworms, weight gains and feed conversions will be adversely affected, there are no scientific studies confirming this assumption. 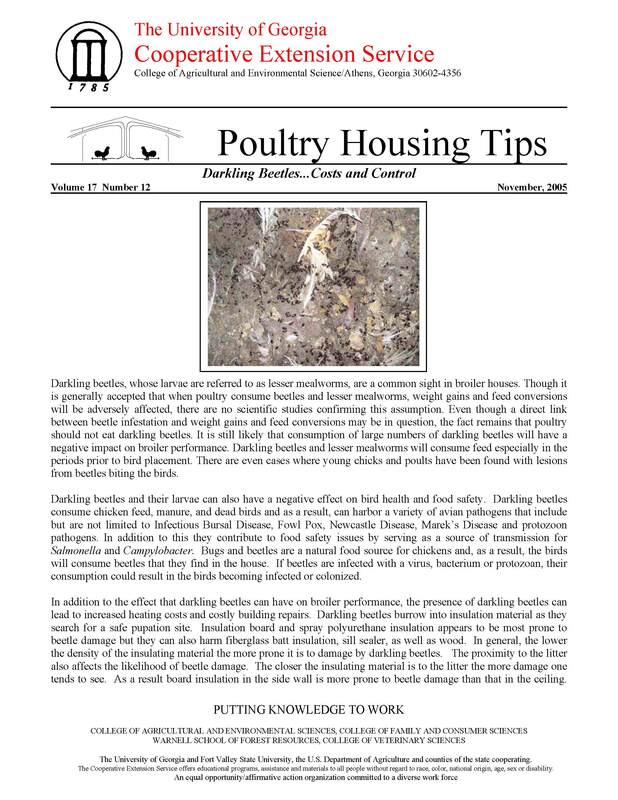 Even though a direct link between beetle infestation and weight gains and feed conversions may be in question, the fact remains that poultry should not eat darkling beetles. It is still likely that consumption of large numbers of darkling beetles will have a negative impact on broiler performance. Darkling beetles and lesser mealworms will consume feed especially in the periods prior to bird placement. There are even cases where young chicks and poults have been found with lesions from beetles biting the birds.